Mr. and Miss Chinatown is a yearly pageant for the members of the Chinese-Filipino community, aiming to seek ambassadors who represent Chinoy culture and by showcasing the Chinoy beauty and excellence in leadership, arts, entrepreneurship and academic. The pageant is also aiming to strengthen the relationship between the Filipino and Chinese. With the theme 'New Dynasty', this year's competition of Mr. and Miss Chinatown Philippines 2017 has a wider reach of candidates from different regions such as Metro Manila, Baguio, Cebu and Davao. 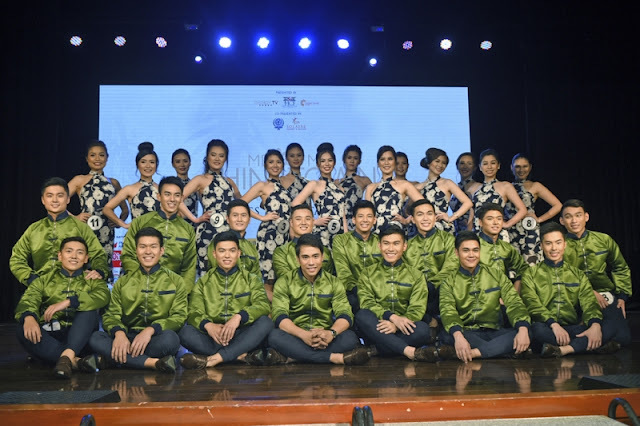 Recently, the 30 official candidates were formally introduced to the members of the media during the press presentation of the pageant held at the Solaire Resort and Casino. These Chinoy millennial candidates have graced the 'Mr. and Miss Chinatown' stage wearing the modern rendition of the traditional cheongsan, Rosenthals Tee.